Before I share my response to the #blimage gauntlet that was thrown down by Sue Buckingham while I was sleeping last night, what the heck is #blimage? 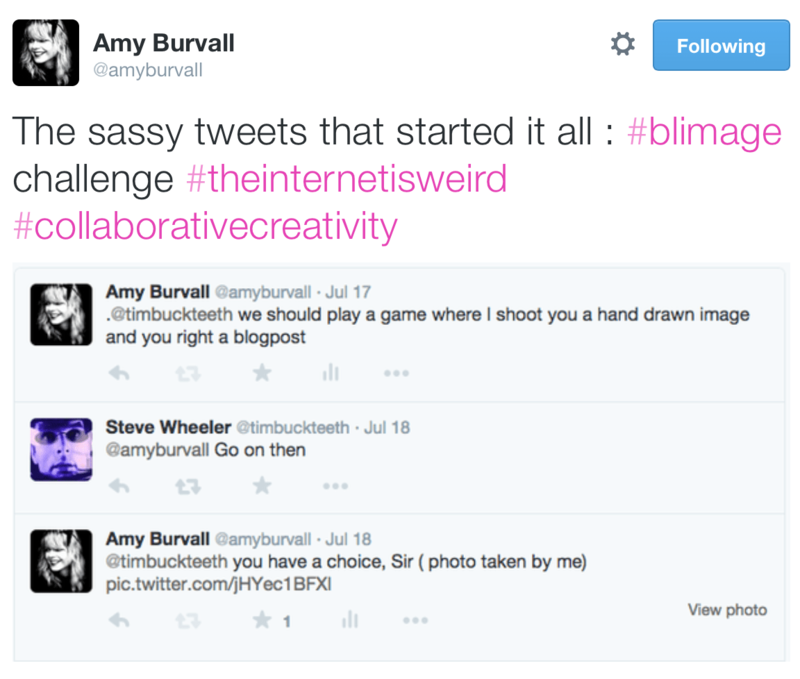 It seems that #blimage began with Steve Wheeler, Simon Enzor, and Amy Burvall on Twitter. A blog image? When thinking about ways to motivate people to blog, this is a really good motivator. I hadn’t written a blog post since the start of my summer conference tour. I’ve been very busy traveling so far this summer. All that time spent in airports caused me to key in on a photo that Sue had responded to taken by Dave Hopkins in an airport. It was jut the motivation that I needed in order to hammer out this post after waking and before heading in to the office! Thanks Sue and David for getting the creative juices flowing. 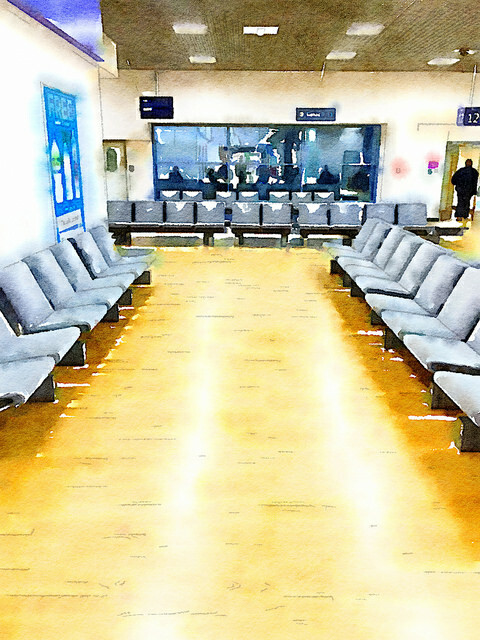 The airport, to me this is where I have done the bulk of my formal and informal learning over the last 10 years. I’ve been in and out of airports around the world and often find myself either studying, reading, writing, or people watching. Of these activities the latter is my favorite, because you can learn so much when you listen and watch the interactions between people in spaces like airports, coffee houses, town squares and other public places. I was challenged by Sue to respond to the spider web that you see here. I look at it in three ways. I see a dream catcher, a network, and am reminded of a book entitled Pattern Recognition. It is hard to say that this does not look like a dream catcher and since it arrived while I was sleeping, I can only wonder what I was dreaming about last night. My grandfather used to tell me that if I had a problem that I couldn’t solve that I should think about it just before bed and when I woke, I would have the answer. As a child I used to think this meant math problems. As an adult it has meant many things. Sleep is a necessary part of processing information. Much like how you must restart your computer when you update the operating system, sleep is a needed component in cognition. Thanks to Marc Smith and Aras Bozkurt, I’ve learned over the last few weeks how to create NodeXL graphs. I’ve graphed several things including #foschat which was created and facilitated by Chrissi Nerantzi and Sue Beckingham. The spider web reminds me of these graphs. I see connections, nodes, and a variety of sizes of the nodes which may represent the meaningfulness or strength of those connections. As a learner, it isn’t until I put all the pieces together that I can see the pattern and begin thinking differently. And, I’m stubborn — I have to PUT the pieces together, someone else can’t do it for me. 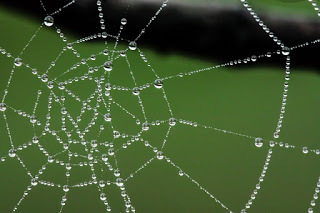 The web to me is the stubborn work of the spider who relentlessly has struggled to put his web together. He has faced hard times (struggling with weather, predators, and so much more) and persevered. I watched my daughter learn how to play the ukulele recently and observed her behavior during the learning process. She transitioned from frustrated to angry and then became determined. I saw myself in her at that moment. Within a couple of hours of that moment she mastered four chords and then could suddenly play 20 songs. As a learner, I have see the patterns, make the connections, but I have to create my OWN web in order to understand. True confession: I’m a social constructivist. So, in order to continue this activity…. I’d like to add this image to the queue for someone else to explain in their #blimage post. The blog post should tie this image back to learning (scenario, theory, methods) in some way. 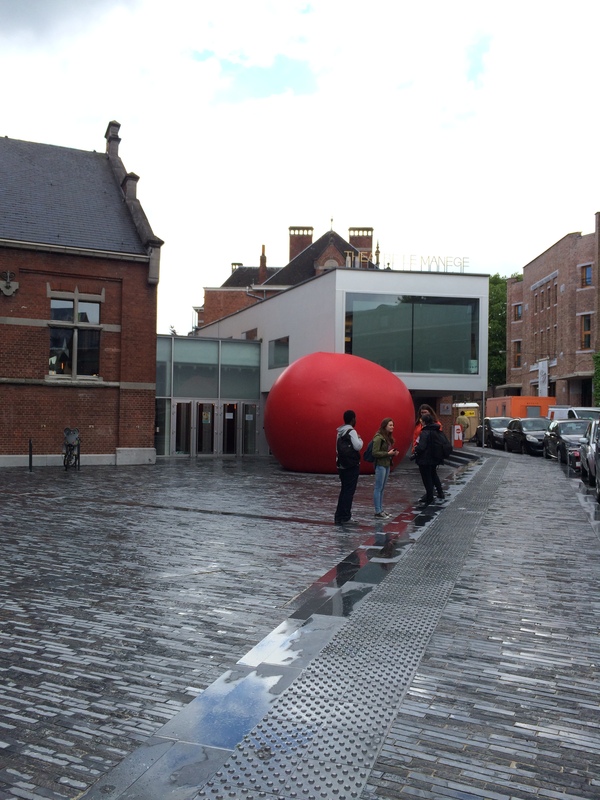 I love your response to my #blimage and can sense that you have so much more to say! It’s made me think about writing on those days we hit a block and the words won’t flow. Focussing on images can for me tease out ideas. I plan presentations this way, so why not writing. I look forward to reading the responses you get and thank you for grabbing the baton!